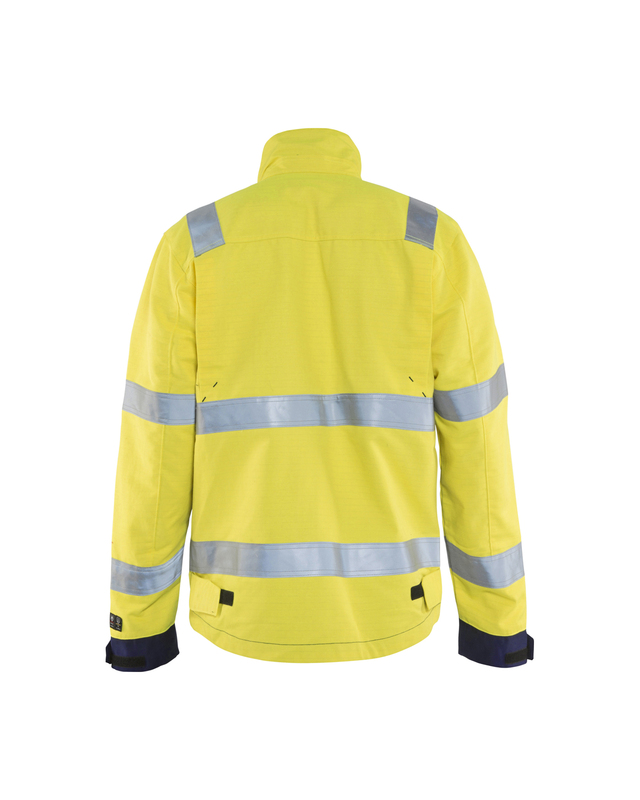 Multinorm jacket in a durable material, designed to be visible from all directions. Shorter front panels for maximal range of movement and extended back panel for increased protection. 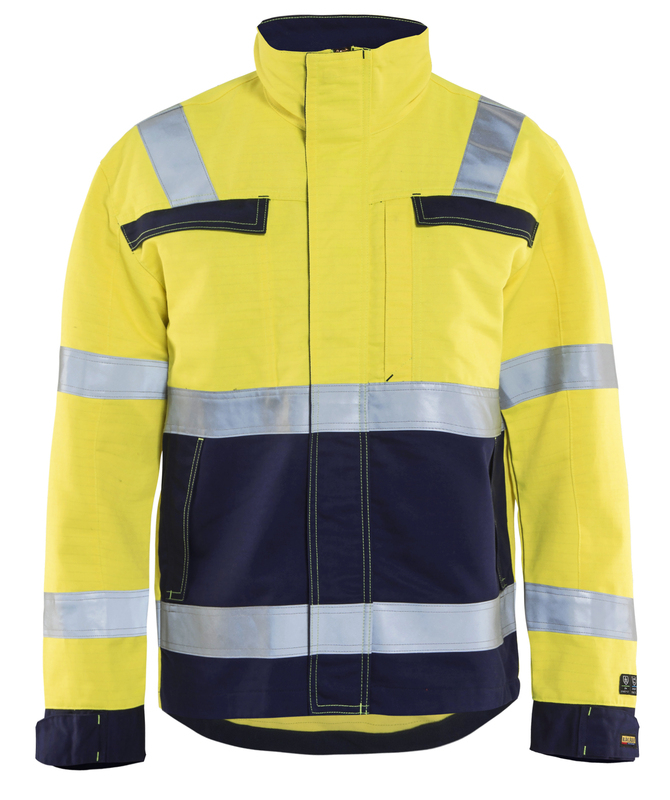 The garment has breast pockets on both sides and features smart details such as an inside pocket with inner phone pocket and darker fabric where most exposed to dirt. Industrially washable. Protects against liquid chemicals. Certified according to EN 1149-5. EN 13034 PB . EN ISO 20471, XS class 2, S -> class 3. EN ISO 11611, klass 1 A1+A2. EN ISO 11612 A1, A2, B1, C1, E3, F1. IEC 61482-2, class 1. ATPV: 11,0 cal/cm², HAF: 82,0%.